This kettle looks a bit like “Rico” (to the right) and “Skipper” (center), the penguins of Madagascar from the Dreamworks movies. Like the penguins, you want to cuddle it, but this is not advisable. The kettle still produces boiling hot water instead of entertaining slapstick. 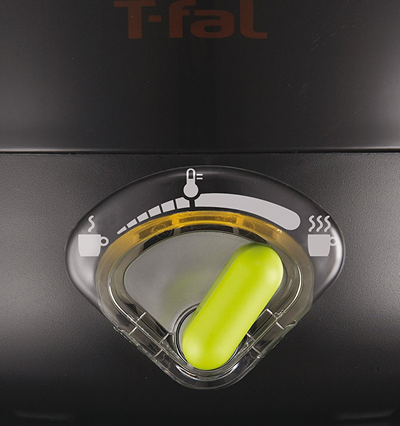 The T-fal design looks compact and robust. 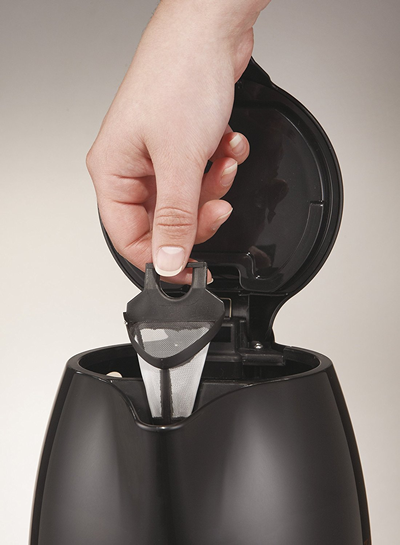 With just 1-liter capacity the device is aimed at small households or people that don’t like sharing hot water. It is still too big to call it a travel kettle unless you have plenty of space (but then you could take any other kettle as well…). The temperature setting is slightly sketchy – see below. The cute design would be even more appealing if there were no plastic inside. Due to the smaller capacity, the full kettle reaches the boiling point in about 4-5 minutes. The quick heating times is also the reason why the kettle has no keep-warm function. There is a window that shows the water level and a knob for the temperature setting. The knob goes from low to medium to high, but you cannot set a specific temperature. The low setting corresponds to about 160°F/70°, medium to 185°F/85°C and high to boiling water. This arrangement is somewhat erratic and might not suit people that need a precise temperature reading (i.e., high-quality green and white teas). Otherwise, the kettle is light (2.8 lbs/1.3kg) and easy to handle. The lid opens by pushing the brightly colored part back. This reveals the limescale filter which can be removed for cleaning. Find here a full list of features. 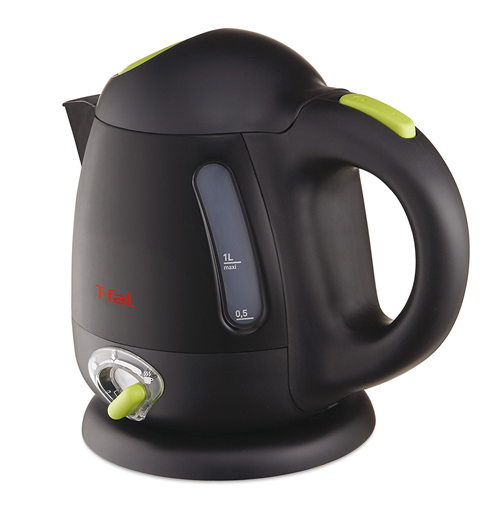 As mentioned above the T-fal kettle is ideal for one or two person households or offices. If the precise temperature setting is not crucial to you, this might be the right kettle for you. A concern is the plastic inside. It doesn’t affect the function but might pose a health worry. Therefore we give it a limited recommendation. To bua from Amazon click here. What will they think of next is what I want to say? This is a very great product that I am sure that a lot of people would love to get their hands on. gone are the days when you use those old kettles and these are the days when we can use something like this that is so stylish and has so many benefits. This product makes a good buy. A very good investment. 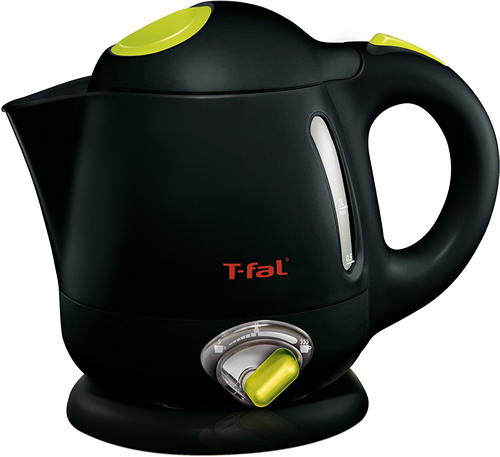 Hey kettle whistler: The T-fal kettle is the cutest I've seen. It makes me smile. 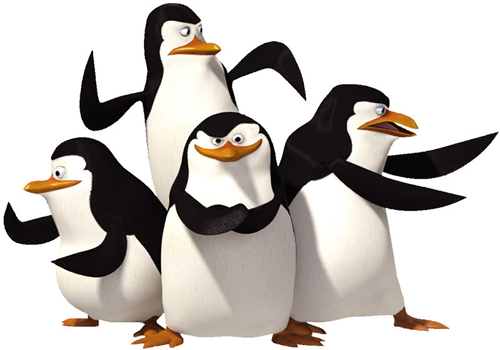 (You're right...it does look a lot like those silly penguins!) I like that it heats quickly (because of its small size) and the attractive price and that you have some temperature control, but I do have a problem with its not being suitable for some of the finer teas. Thanks for the light-hearted review. Thank you. Boiling water needs a light-hearted approach otherwise people might think it is boring. We don't want that.